How Do Platelets Boost Your Periodontal Health? Your body’s ability to heal plays a significant role in your long-term periodontal health. For instance, periodontal disease becomes a threat by affecting your immune system’s ability to remove harmful microbes, making it impossible for your periodontal tissues to heal. That’s why periodontal treatment often focuses on making your body’s healing processes more effective, such as removing bacteria and promoting the growth and reattachment of your periodontal tissues. 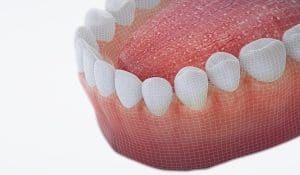 It can also include more advanced platelet-rich plasma (PRP) therapy, which involves the introduction of highly concentrated platelets into compromised regions of your gums and periodontal ligaments. Platelets are tiny fragments of cells in your plasma that mainly help your blood cells clot so that your tissues can heal. In other words, they’re vital to helping your body repair tissue damage, and that includes any trauma that your periodontal tissues can sustain due to gum disease. In the application of periodontal maintenance, Dr. Kania can utilize this ability to help you recover from periodontal disease. Platelet-rich plasma contains a high concentration of your body’s own platelets, and when used as part of your periodontal maintenance, it can help diseased gums recover and reattach to your teeth roots. This minimizes the amount of restoration you may need to preserve your periodontal health, such as gum grafting or laser periodontal surgery. For optimal results, Dr. Kania utilizes a combination of holistic periodontal maintenance techniques, including platelet-rich plasma and platelet-rich fibrin (a matrix that boosts PRP therapy’s effectiveness). The overall goal of periodontal therapy is to not only stop periodontal disease, but also restore your periodontal health to prevent more serious complications, such as tooth loss and chronic systemic inflammation. By utilizing more holistic methods, Dr. Kania can also help you improve your systemic health while also preserving your healthy, natural smile. With holistic treatments like platelet-rich periodontal therapy, you can enjoy better periodontal health by boosting your body’s ability to heal itself. For more information, schedule a consultation with Dr. Kania by calling her periodontal office in Encinitas/San Diego, CA, at (760) 642-0711.